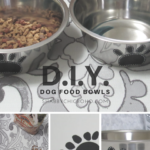 You are here: Home / All Natural / Premium, affordable, burlap rolls for all of your D.I.Y. projects. 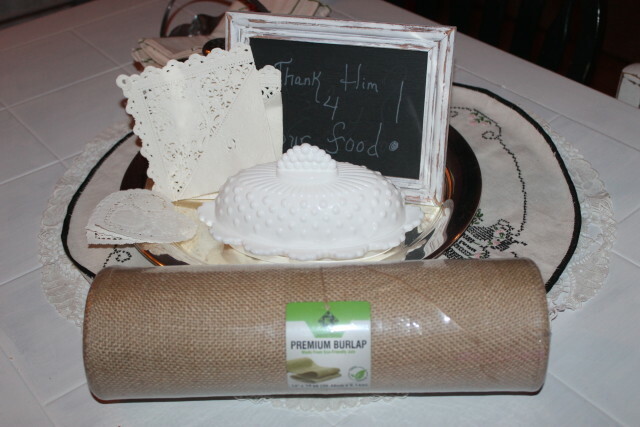 I received a complimentary burlap roll for review (which is now unavaiable so I’ve selected the next best thing to route you to) that I want to use as a table runner for my table in the kitchen. 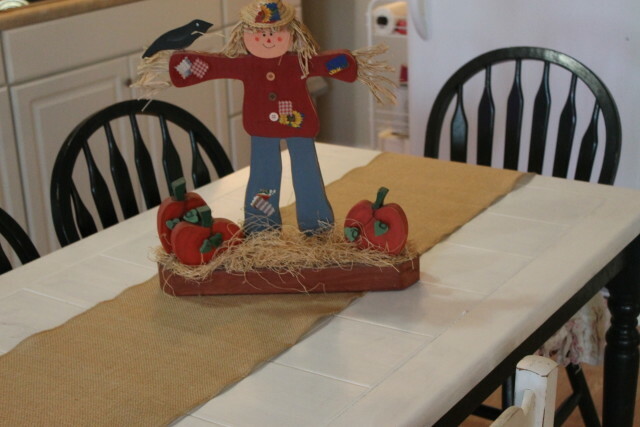 I’ve been doing some autumn decorating and burlap goes really well with just about anything, year round. I am using some of this very large roll for my table runner and I’ll be working on some DIY projects with the rest starting with some autumn pillows. I’ll update my post with photos at that time. I plan to add the kids initial on each of the pillows for their little sitting room. I think the burlap looks great on my table although you’ll have to pardon my table’s appearance at the moment. I’m in the process of giving a new look. My sick child has this project on hold for the time being. The reason I wanted this particular burlap roll is because of its long length; 12 inches wide by 10 ft long. 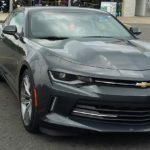 I could tell by the photos on Amazon that it’s made really well. The sides and all edges are already sewn, which means less work for me. FYI when sewing burlap, be sure to use zig zag stitching. 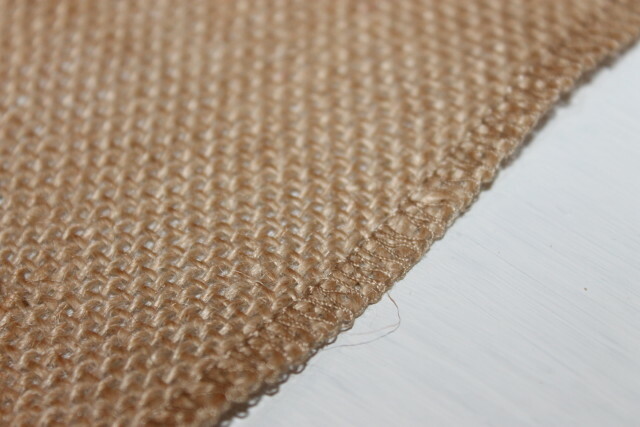 I got a close up of the burlap to show the high-density small gaps. 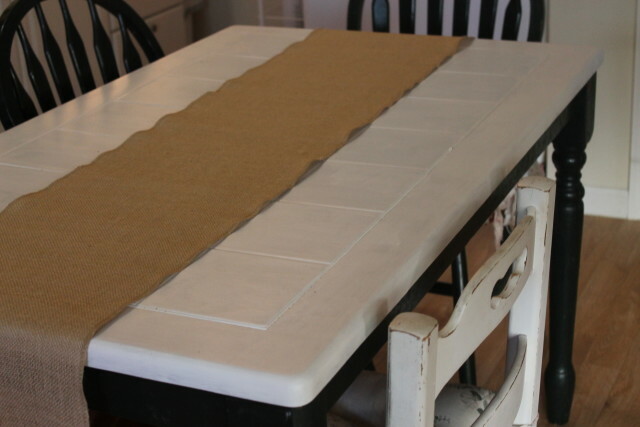 This all-natural burlap table runner is made with eco-friendly jute. This burlap will hold up pretty well under any circumstance. 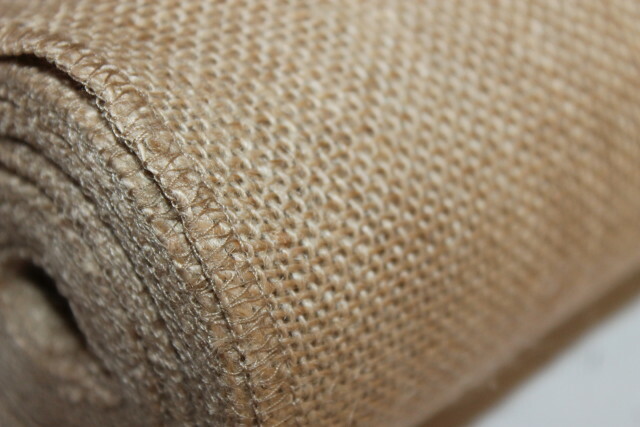 Let’s get a close up of these awesome features that make this burlap roll a favorite with me. 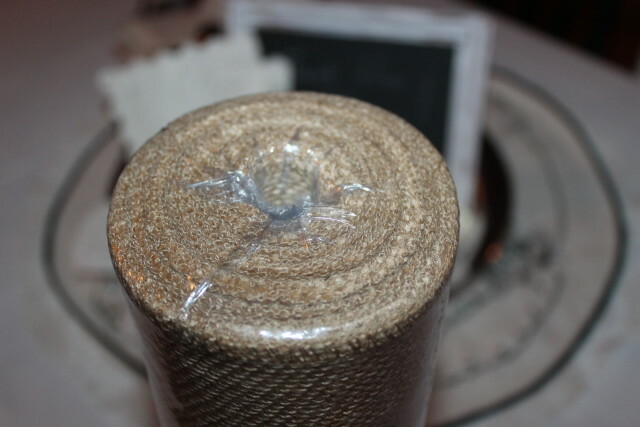 This roll of burlap would make quite a few table runners which makes it a perfect choice for weddings, showers, parties and any other event you might be hosting. It’s an inexpensive way to add the perfect touch to any decor. 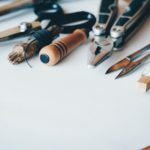 I love burlap so much that I have a board of DIY projects I’d like to make with my burlap roll and any other rolls I plan to purchase in the future. My studio apartment is a bit industrial with a pinch of Shabby Chic, boho/gypsy-ish, eclectic in some areas and I’ve even got a little bit of country going on. I’m not sure there is even a genre of what my style is but no matter what I have where, burlap always fits in with any area of my home. Be sure to follow my below board on Pinterest then head on over to Amazon to purchase your own roll of burlap. How do you plan to use your http://https://amzn.to/2PLzdpx burlap table runner? 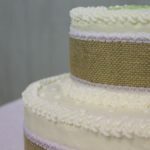 I love the look of the burlap against your white table. It’s a perfect touch for this time of the year. Oh I love burlap for crafting. Lately I have seen so many beautiful wreaths using burlap. This gives me some good ideas for Fall decor. 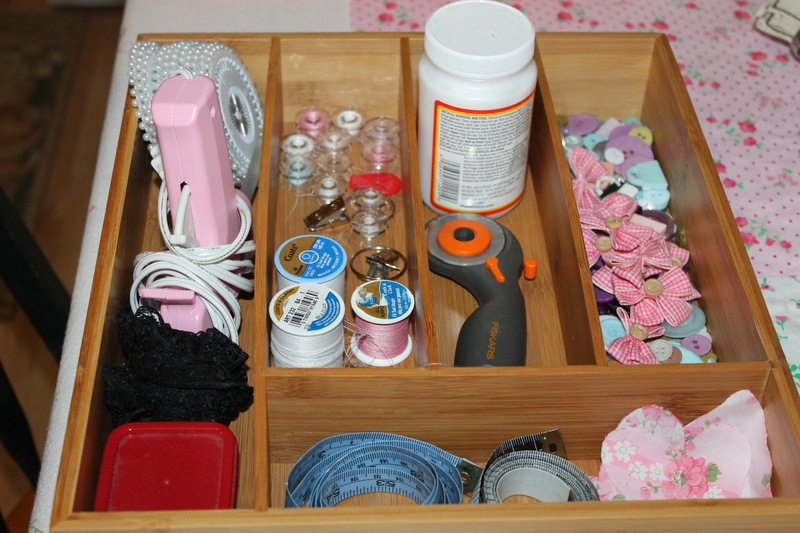 What a great crafting product! I would probably use it for the kids to paint on with their hands. I think there would be so many great ways to use it. Right now, I’d use it for Fall crafting. That’s a cute idea! I used burlap rolls last year to make a Christmas tree door hanging. I like that idea! Burlap seems to work really well in well-lit rooms or beach themed rooms! There is enough in each roll to make quite a few runners for my table size. Perfect for wedding and party table decorations when you need more than one runner. 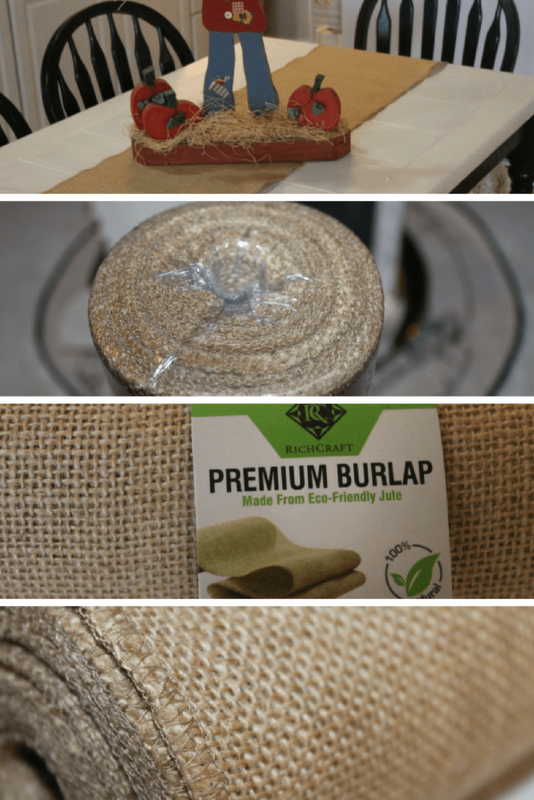 Burlap is great for so many different DIY craft projects! And, I love that this is so versatile it can be used all by itself as a decorative table runner. Perfect with Thanksgiving coming up! Such a cute idea. I am going to try something similar this weekend for our Halloween party. 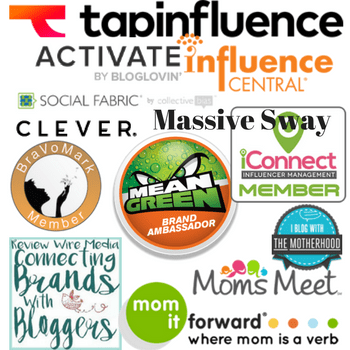 Love burlap – in fact, I used pieces to decorate my mantle and my kitchen table. I like the idea of using it as a table decoration. Would look great with a gorgeous flower centrepiece. I love burlap and the burlap runner is so cute and perfect for fall! This is so cute! That is so cute! Love your creativity. I’d love to make mine into a basket. It looks so beautiful. It would make a great gift for Christmas. 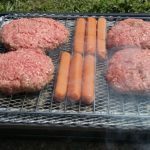 I gladly to know somethings may be perfect out for the table.! This such a great idea,. Im using it as table runner, its so cute and such a creative idea. I love the look of burlap and using it as a table runner is such a great idea! It looks fantastic and perfect for the season! 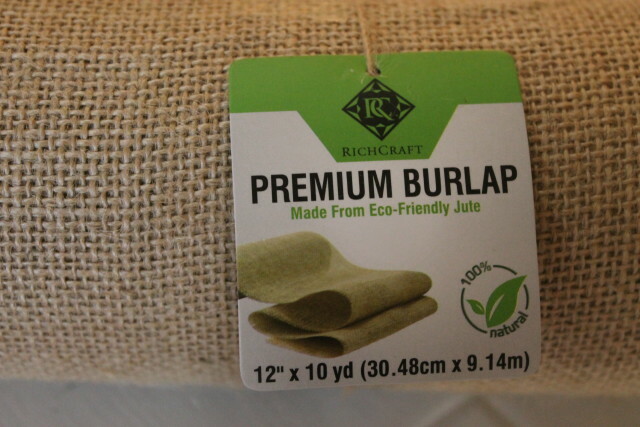 I did not know burlap was very versatile. I think I would start off using it as a table runner, but then transform it into something else. I think that’s a pretty cool idea. It fits the table really well and the color is just right for the season. I’m not sure how I’d use mine. I think I would use it as a table runner, too. The color is perfect for this time of the year.